Can You Outrun The Beast Of Terror In Your Backyard? GROUND ZERO PLUS 1152 DAYS,--New York, NY, Sunday, November 7, 2004--Yesterday I walked the route where more than 30,000 runners will jam the streets in search of athletic glory. For the vast majority, such glory will be measured simply by crossing the finish line at 66th and Central Park West--a feat that taxes one's physical, mental and often spiritual resolve. Finishing is winning for anyone who enters a marathon because the nature of the race is to eliminate those who try and climb the runner's Mount Everest. It is all about endurance, resolve, commitment, training and a dedication to overpower all the Beasts of Terror that set up ambushes along the 26.5 circuitous route through all five boroughs that comprise New York City's eight million citizens. 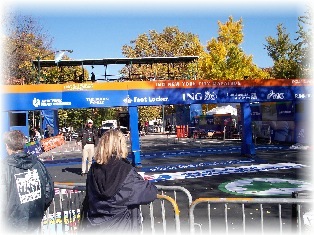 I particularly enjoy walking the route through Central Park the day before, and then, the morning of the race. Currently, it is 5:30 a.m. as I write this. In a few minutes, I will leave the East Village and journey up to Central Park where I will walk to the finish line and stand, inhaling the fragrance of victory and defeat, both of which the race creates. The marathon is not just another running event. It is all about Vigilance and Terrorism. It's roots go back to around 480 B.C. when the Persians--in those days the al Qaeda of its time--marshalled around 250,000 troops to invade Greece. To enter the country, the Persians had to move through a narrow mountain pass called Thermopylae. Five hundred Spartan warriors vowed to hold the Persians back, and they sent a runner to get reinforcements. The journey for the runner was 26.5 miles. He was the first marathoner. Only his goal was to rally the citizens, to warn the community of Greece that the "Terrorists were coming," and that they must prepare to fight them. For days, the five hundred Spartans held off the tens of thousands of Persian invaders. 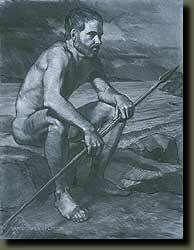 It was a herculean task, historically captured in both poetry and lore. There were many messages for modern times born from the Persian War battles between the Spartans and the Middle Eastern Terrorists of the time. One of those is Vigilance. If Vigilance is the sum of one's Courage, Conviction and Right Actions that benefit future generations, then what the five hundred Spartans did to thwart the assault of nearly a quarter million invaders stands as a symbol to all that protecting one's home brings out in all of us incredible powers. Further, the legend of the Spartans still lives on today. 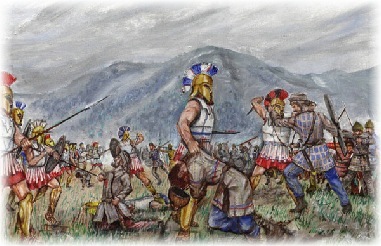 In famous Greek poetry the Spartans who died defending Thermopylae are buried at the mouth of the pass, and they remind the living today to be wary of invaders. They tell those familiar with the poem and history that they are standing guard--they are our Sentinels of Vigilance--reminding us to keep our guards up against the Beast of Terror who waits patiently for us to become Complacent, to let down our guard. There is also the message delivered by the runner who carried the message to the people to warn them and to marshall support for the besieged Spartans. 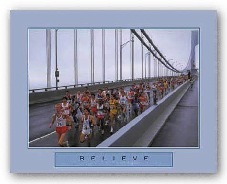 But history offers a variety of backdrops for how the marathon came about. Pheidippides (Greek: Fe?d?pp?d?? ), sometimes given as Phidippides or Philippides), hero of Ancient Greece, is the central figure in a myth which was the inspiration for the modern sporting event, the marathon. The traditional story relates that Pheidippides, an Athenian herald, ran the 42 km (26 miles) from the battlefield at Marathon to Athens to announce the Greek victory over Persia in the Battle of Marathon (490 BC) with the words "Nike! ", or "Victory!" and died on the spot. Most accounts incorrectly attribute this story to the historian Herodotus, who wrote the history of the Persian Wars in his Histories (composed about 440 BC). Robert Browning gave a version of the traditional story in his 1879 poem Pheidippides. So, when Persia was dust, all cried, "To Acropolis! Athens is saved, thank Pan, go shout!" There are other such stories, and in each is laced the commitment and dedication of the runner to carry a message to the people of either victory or the need to rally forces against great odds. Joy in his blood bursting his heart, he died - the bliss! Certainly, fighting Terrorism is about challenging one's self in a long-range battle that requires incredible endurance. This is especially true if one sees "Terrorism" as an invasion of our thinking systems, where we tend to allow our thoughts to tell us: "we're not good enough, smart enough, thin enough, liked enough, loved enough, cared for enough, respected enough, as pretty as, as handsome as, as lucky as, as worthy as..." and an endless set of depreciating, deprecating thoughts that tend to cripple and hobble our images of our selves so that we become walking victims of our own "Beast of Terror Within." If we want to be happy, joyous and free people, true citizens of prosperity so that we might pass on the best of our world to our children, then we must be free of, or able to battle, our Beasts of Terror Thoughts. No Terrorist on earth can decimate us worse than we ourselves when we look into the mirror and think we see a "loser, a failure, a victim, a not-so-worthy person who could have been and wasn't." But, if we think in terms of a marathoner, and we are willing to think Vigilant Thoughts to combat Terror Thoughts, we have the great chance of running the race of life and being victorious one day at a time. Marathon runners use their mental powers to fuel their physical bodies when they reach a point where it seems they cannot lift their legs or gasp enough air to fill their bursting lungs. They "reach outside themselves" for that strength to go the next hundred yards, or even the next step. Vigilant marathoners can do the same by looking outside themselves to the real reason they run the race. That is the knowledge they are fighting their own Beast of Terror to prove to the children and the Children's Children's Children that it can be done. It is the selfless act of being inspired from the outside that gives the insides the strength to battle the hoards of Terror Thoughts that bark: "You're not good enough...you're not worthy enough...you're not smart enough...you're not able enough..." and a barrage of other assaults on the value of the self trying to cripple and hamstring each Vigilance Marathoner into falling down and giving up. 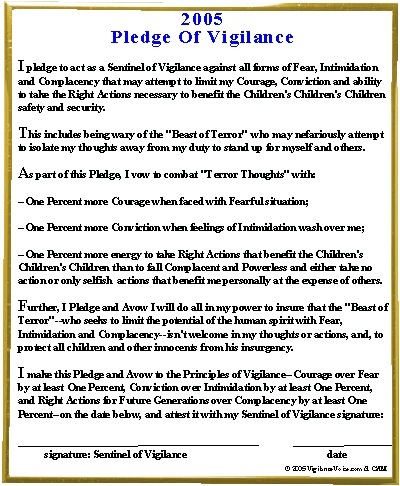 By challenging the Beast of Terror not just to convert one's self into a Sentinel of Vigilance, but to do so as an example to a child that tells the child he or she can overpower such Terror Thoughts, is the key to completing and even winning the race. But it all starts with a challenge. It starts with someone signing up for the Marathon of Vigilance and then being willing to practice its principles daily. That starts with taking the Pledge of Vigilance. Below, the Pledge waits for your signature. If you sign it today, you can start on a long and rewarding journey to become a Marathoner of Vigilance. By entering the race you have won, for those who stand back and watch lose. They will never know the taste of victory begins with setting foot on the road to Vigilance. They will never know that the Marathon Route is lined with the faces of the Children's Children's Children, and that the ultimate joy in life is knowing that your own fears, intimidations and complacencies pale when you realize the price of surrendering to them means you give up hope for the future of the children...that by surrendering to the Beast of Terror today you allow Vigilance to die. So, pick up the pen or pencil. Sign the Pledge of Vigilance. Become a Marathoner of Vigilance and in the process, a Parent of Vigilance for the future of the Children's Children's Children. Go To Yesterday's Story: "How Bombs And Bullets Protect The Freedom Of The Children Of Falluja, Iraq Or New Jersey, U.S.A."